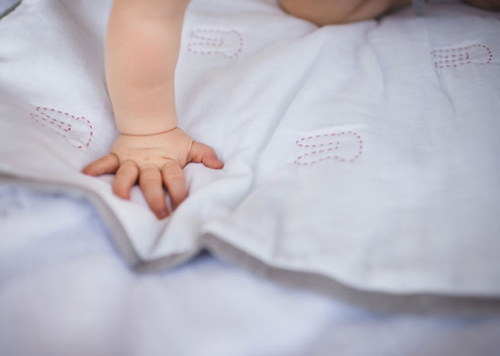 EllieFunDay produces gorgeous heirloom baby blankets, made from super soft organic muslin cotton and beautifully embroidered, all done so by hand by marginalised women in India. The company is the brainchild of Sarah Lin (and her husband Elton), who after spending some time in India a few years ago, fulfilled her dreams of designing a beautiful product that would make a lasting change in the world. 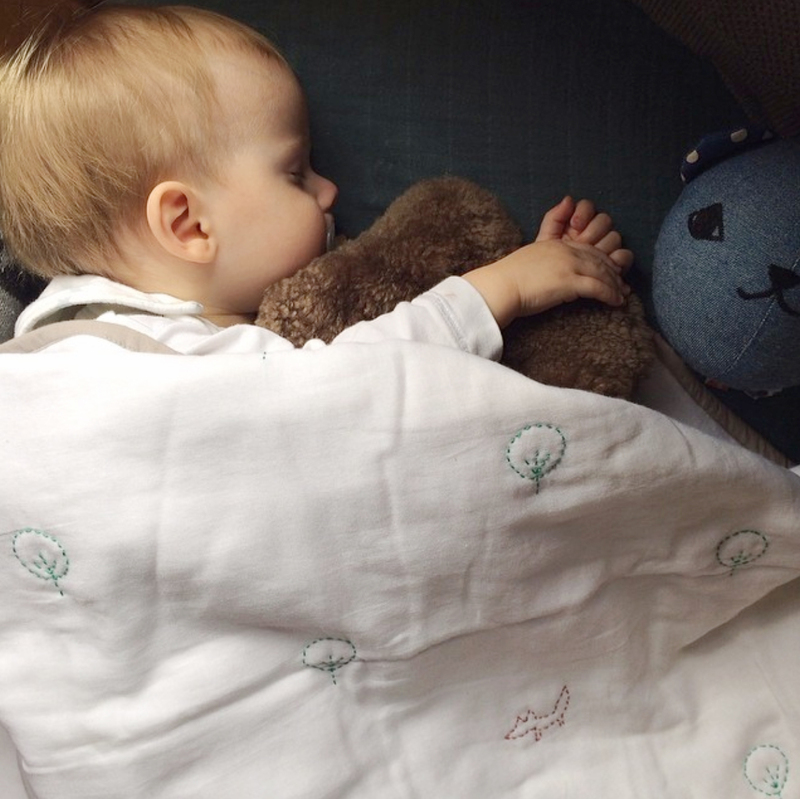 She remembered her own much loved baby blanket, and designed a collection of gorgeous, modern blankies. I love the darling designs of the EllieFunDay blankets and the importance of the story behind it. The blankets make wonderful gifts (they come beautifully labeled and in a drawstring muslin bag), and look gorgeous in any crib and interior. Casper loves his Fox & Forest blanket! love this photo of Casper.how sweet. Love seeing Casper with his EllieFunDay blankie!